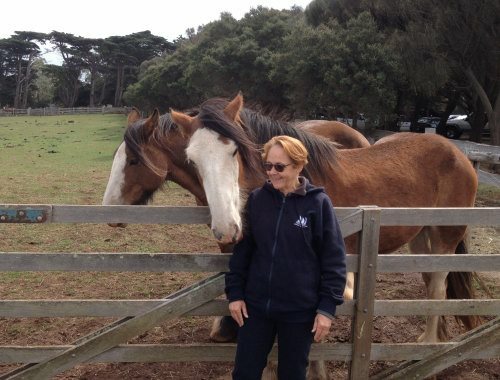 The creation of Churchill Island Heritage Farm is really just about tradition! Lieutenant James Grant planted crops here when he discovered and named the island in 1801. These was the first planted in Victoria and therefore its first farm. Grant named the island after Mr John Churchill of Dawlish, Devon, who had given Lieutenant Grant seeds of vegetables and trees to plant in the "new world". The island was purchased by the Victorian Government in 1975 and was under the care of various organisations until it became part of Phillip Island Nature Parks in 1996. Phillip Island Nature Parks and Friends of Churchill Island have done a wonderful job of restoring buildings and farmland so visitors can see how early settlers farmed the land. Entry to the farm is via the Visitors Centre where there is an interesting display of island history. PINP also runs the Penguin Parade, Koala Conservation Centre and The Nobbies Centre. If you plan to visit all these attractions, the purchase a 3 Parks Pass is a good option. At the highest point of Churchill Island is Amess House, built around the 1870's by Samuel Amess, owner of the island between 1872 and 1929. 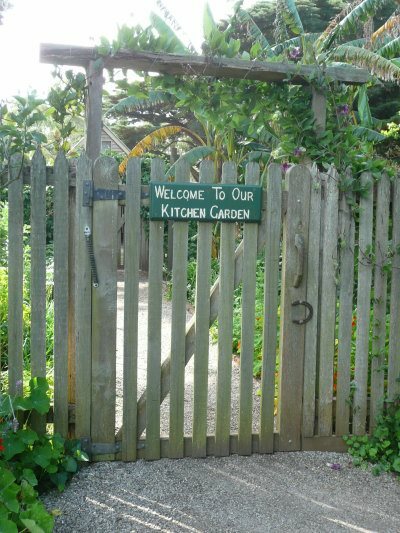 Visitors can tour the house and its outbuildings typical of the time, plus wander through the kitchen garden. Picnic on the beautiful lawns and perhaps watch the farm's stately peacocks display their finery. Visitors can wander pass the sheds to see historic farm machinery or take in one of the daily demonstrations of farm activity. Look at the board at the Visitor Centre to see the times for sheep shearing, black smithing, cow milking and working dogs. Perhaps you can try your hand at whip cracking and boomerang throwing. If you want, you can have a turn at milking a cow - this is very popular with children! This is a great experience for children who don't come into contact with "country life". A favourite with children is the baby animal nursery. 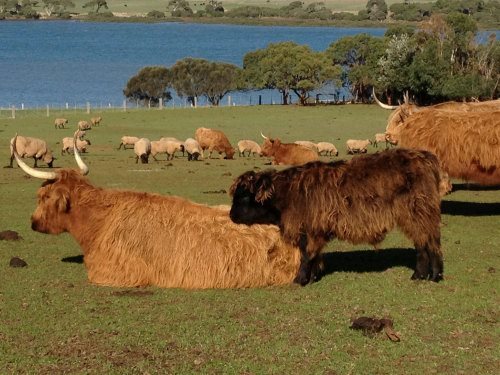 A visit to the island wouldn't be complete without seeing the herd of gorgeous shaggy Highland cattle. This breed of cattle was originally introduced by Samuel Amess to remind him of his homeland, Scotland. The Clydesdale horses are popular and may come over for a chat. Visitors can also see them working during the annual Working Horse Festival. In spring watch the sweet black-faced Suffolk lambs gambolling in the paddocks. Aside from the heritage farm, there are two walking tracks around Churchill Island - these are free of charge. Look for the ancient Moonah trees with their gnarled trunks. Maybe you will see one of the few koalas that make the island their home. I haven't seen them for several years so I don't know if they are still around. At the Visitor Centre, browse the gift shop or relax in the licenced cafe and enjoy the wonderful views over Westernport Bay to the mainland. Over the Easter long weekend, make some time for the Easter Fun Festival which brings lots of special events and displays (and Easter eggs! ).